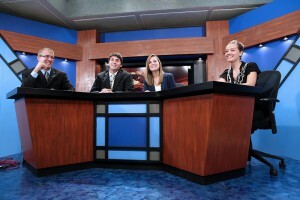 Are you interested in getting involved in the exciting world of one of the nation’s top College Television stations? California University Television (CUTV) is currently seeking self-motivated, creative, and hard-working students with desire to work in the world of television! Get hands-on experience in one of the best fraternities on campus with a storied pedigree for landing it’s graduates jobs within the industry! Click around the website…then stop by our Studios & Editing Lab in the Media Suite, 1st floor of the Natali Student Union to kickstart your journey into the world of television production! Notice: The California Borough council meetings are not available on live stream. Live stream is not always available and we are not responsible for outages.